Step aside Boeing, it's Lockheed Martin's turn to bask in the spotlight for at least a few hours. Earlier today, a Japanese F-35 stealth fighter jet with one pilot on board unexpectedly disappeared from radar while on a training mission over the Pacific on Tuesday night, Kyodo reported citing the defense ministry. The fighter jet went missing at around 7:27 p.m. (1027 GMT) as it was flying 135 km (84 miles) east of Misawa in northeastern Japan, a ministry spokeswoman said. The fate of the pilot was also not immediately clear. According to Japan's NHK, the plane lost contact about 30 minutes after taking off from Misawa Air Base, and added that the Self-Defence Forces and coastguard dispatched vessels to carry out rescue operations, NHK added. What is embarrassing, is that according to the Defense Report, Japan’s first F-35A fighter squadron based at Misawa became operational on March 29. 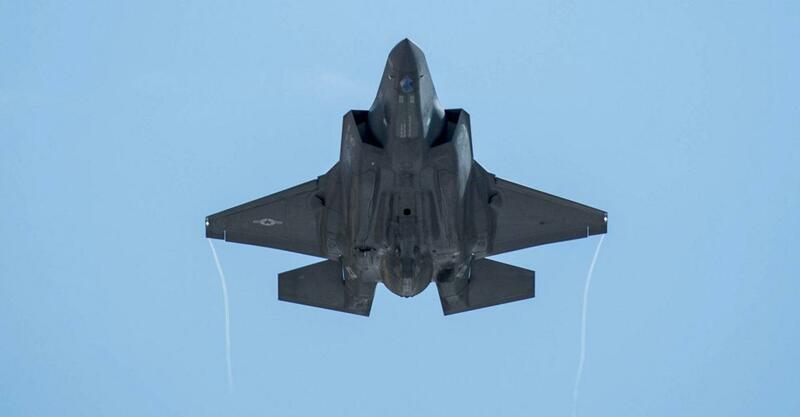 As a result of the unexplained, and first ever, disappearance of the stealth fighter, Kyodo also reports that Japan will ground its entire fleet of F-35s until there is more clarity on what happened today.